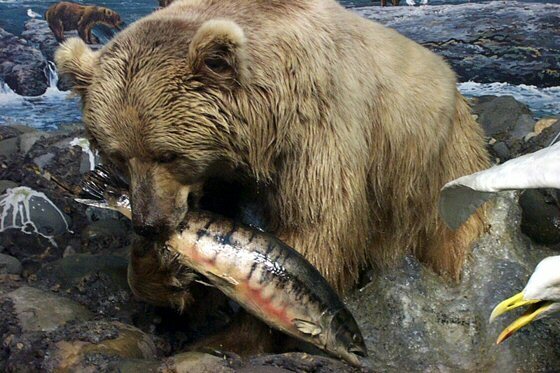 Grizzlies live in western Canada, Alaska, Wyoming, Montana, Idaho and Washington. They are omnivores: they eat fruit, grass, bulbs, roots, insects, fish and small animals. In some places, they hunt larger animals, such as elks and caribou. They also eat carcasses.